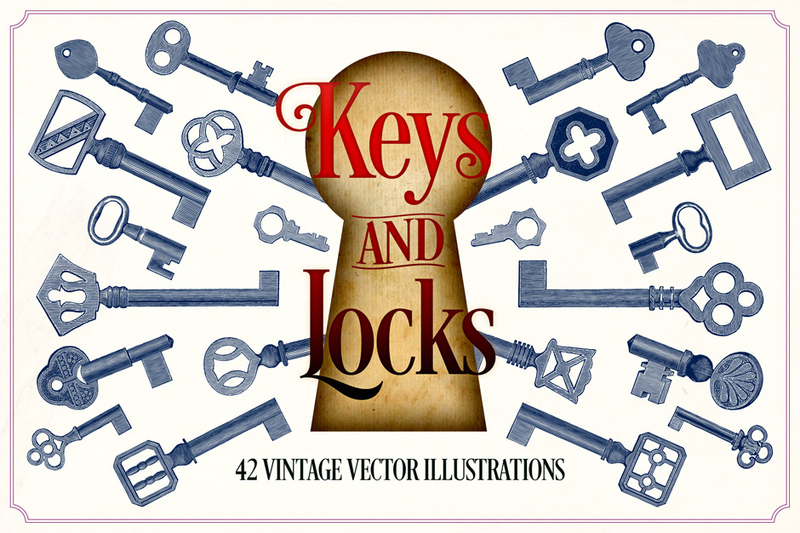 42 vintage drawings of keys and locks from 19th to early 20th century! Most of the sold vintage vector illustrations look just like in source materials – nicely weathered. But sometimes they can stand in the way of your designs. Some important parts of a illustration are faded or smudged. We have carefully restored all the illustrations. We removed paper textures, ink bleeds and repainted faded details. Now they look like first prints on quality paper. 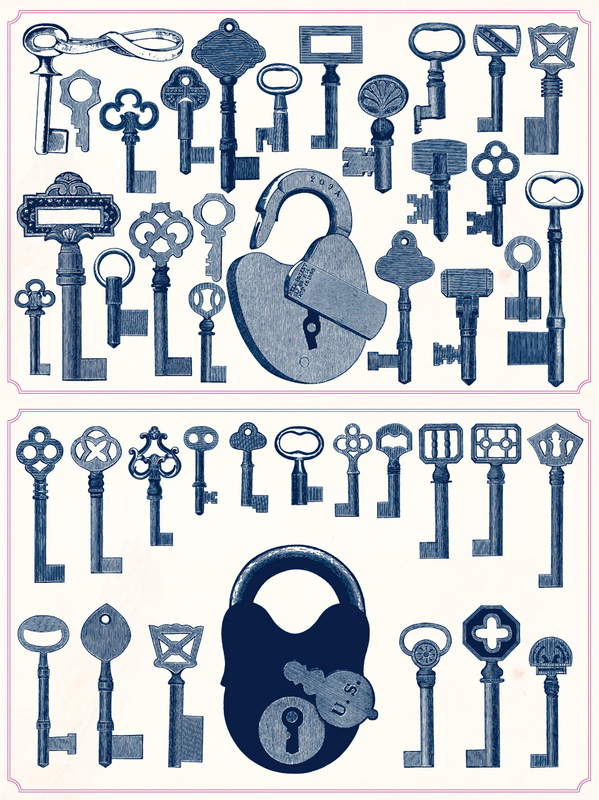 Despite full restorations we worked hard not to make illustrations too clean and keep their vintage look. Provided file formats (.AI, .EPS, .PNG) can be used with Adobe Illustrator, Adobe Photoshop, Affinity Designer, Affinity Photo, Sketch etc. 300ppi transparent .PNG files are usable for projects both for print and digital. Software compatibility: Adobe Photoshop CS5 and Illustrator CS5 or newer. .PNG files will work with most graphic software.